Where intergenerational poverty and inequity are devastating, we work with each child in every familiy in a community to realise their aspirations for the cultural, social and economic wellbeing of the next generation. We are focused initially on First Nations communities in Australia. Children’s Ground’s first partnership was with the Mirarr people of Kakadu West Arnhem in the Northern Territory, through their organisation the Gundjeihmi Aboriginal Corporation. Children's Ground also has a long association with Arrernte Elders and families in Alice Springs, where the Children's Ground approach was first designed. 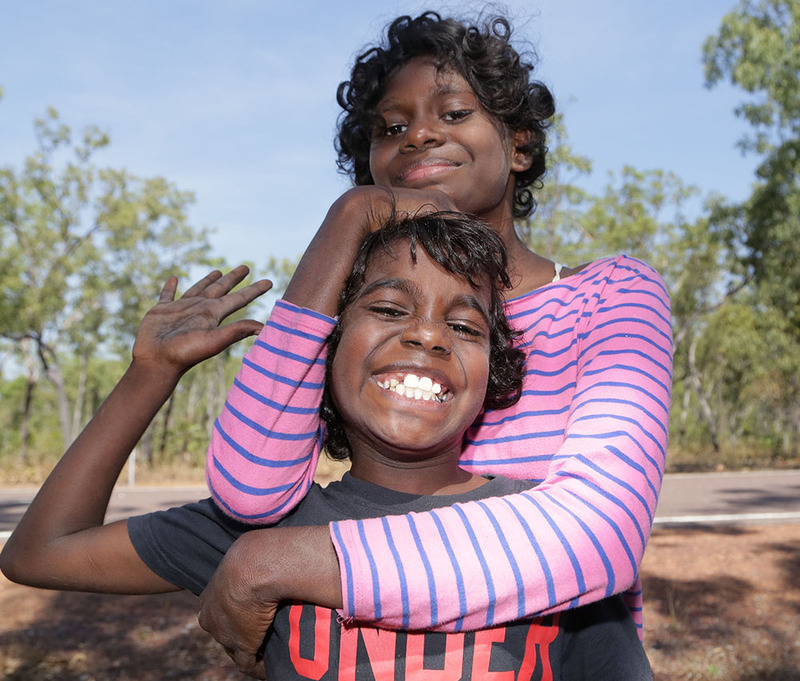 We are working with families across four sites in the Central Australian region with the aim of laying a new path of opportunity and hope for the next generation of Arrernte children. Over the next three years we will invite partnership with other communities to scale Children’s Ground. We will create an evidence base to lead major reform in the way Australia address extreme disadvantage in the long term. We acknowledge and honour First Nations peoples, paying respect to Elders past and present as custodians of this land. We work in Central Australia on the lands of the Arrernte people and in Melbourne on the lands of Wurundjeri people of the Kulin Nation. The health, education and wellbeing of children requires a radically new approach. For our most vulnerable children, the status quo is that they will become statistics – we can't allow this to happen. We are implementing the Children's Ground System in partnership with communities to realise their aspirations for the next generation of children. As we work, we reflect constantly on what we do to try to ensure we are doing it the very best we can – to deliver the highest level of excellence to those who need it the most.